Lea Colie Wight was born in Philadelphia, Pa in 1951. She earned a BFA from The Minneapolis College of Art and Design in 1974. In 2003 Lea discovered Studio Incamminati, an intensive Atelier founded in Philadelphia by renowned artist Nelson Shanks and entered as a student. In 2005 Lea was invited to join the teaching staff rising to become one of the lead teachers at that school. 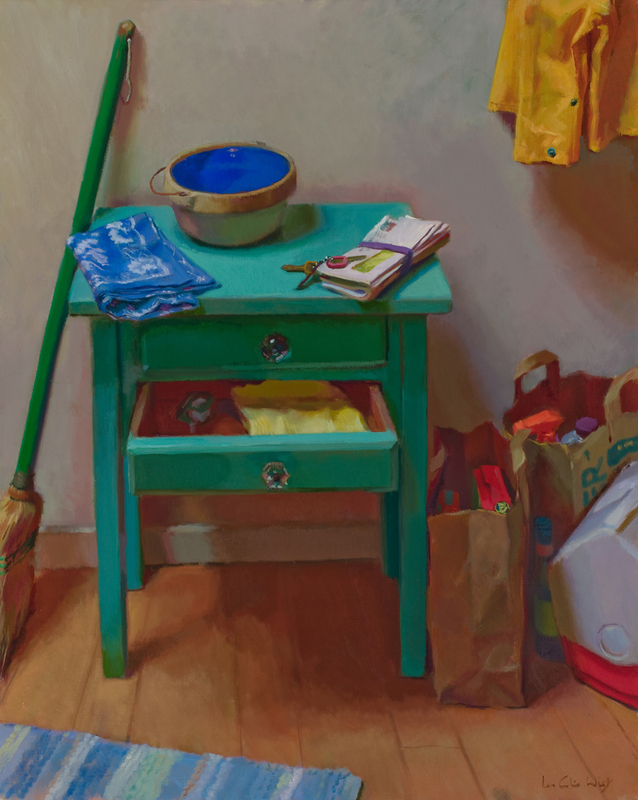 Lea periodically served as teaching assistant to Nelson Shanks at The Art Students League in New York and has served as lead instructor for various Studio Incamminati workshops as well as her own workshops. 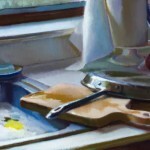 She has been awarded an Honor Award at the Portrait Society of America’s national competition in 2009 and in 2010 as well as a Certificate of Excellence in 2011. Her work has been featured in numerous publications. 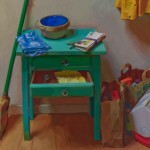 Lea maintains a studio in Manasquan, New Jersey as well as in Philadelphia. She has a feature article in The Artist’s Magazine an interview in International Artist Magazine and a DVD in production through American Artist Magazine. She will be a faculty member at The Weekend With The Masters in NYC this summer. “Waiting” a portrait has been juried into the prestigious “Inspiring Figures” exhibition at The Butler Institute of American Art in Youngstown, Ohio. 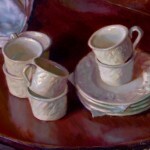 2010 exhibitions and awards include being selected as one of the top 15 artists at the 2010 Portrait Society of America National Competition and Exhibition for the second year in a row and her Self Portrait subsequently received an Honor Award. 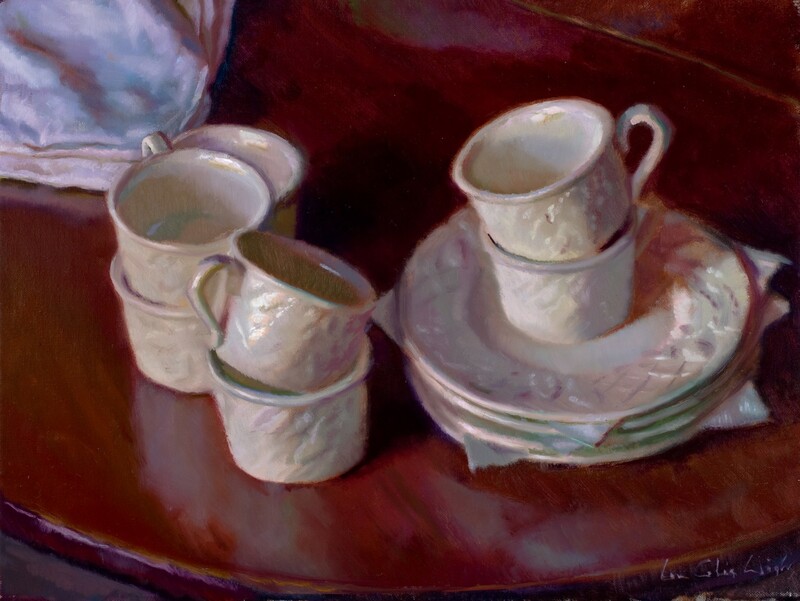 Lea is again exhibiting at the Salon International Exhibition hosted by Greenhouse Gallery in San Antonio, Texas as well as having a painting juried into The Oil Painters of America National Exhibition at the Legacy Gallery in Scottsdale, Arizona. 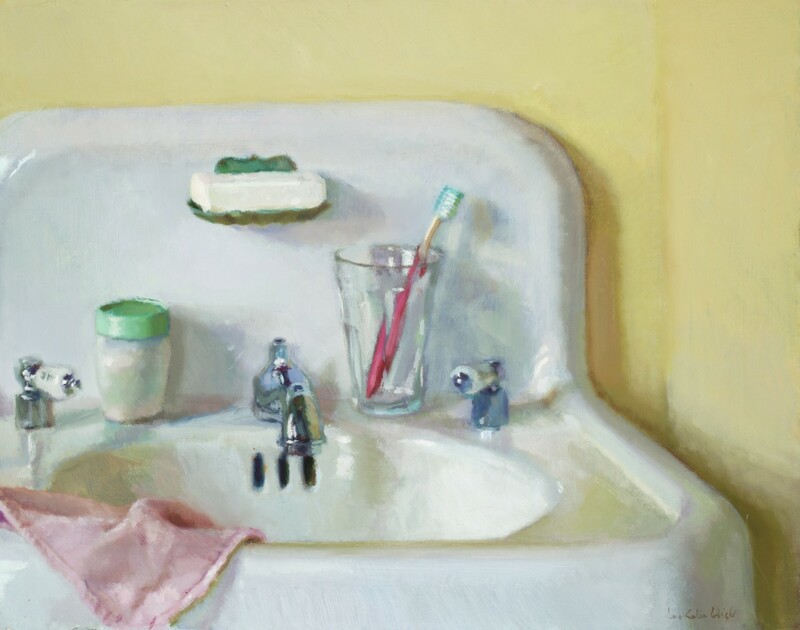 In March Lea is one of seven artists exhibiting paintings in the Interior Show at the Waterhouse Gallery in Santa Barbara, California. 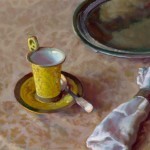 “The Wedding” has been juried into the Fort Wayne Museum of Art’s Biennial Contemporary Realism show. The painting “Waiting” was awarded an honor award in the prestigious 2009 Portrait Society of America competition and exhibition. 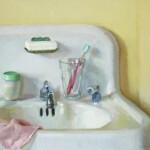 “Morning” was awarded 3rd place at the Salon International 2009, a project of The International Museum of Contemporary Masters, Greenhouse Gallery of Fine Art. The exhibition was judged by Daniel Green who also awarded Lea’s painting “Russell” an Honorable Mention in that same exhibition. 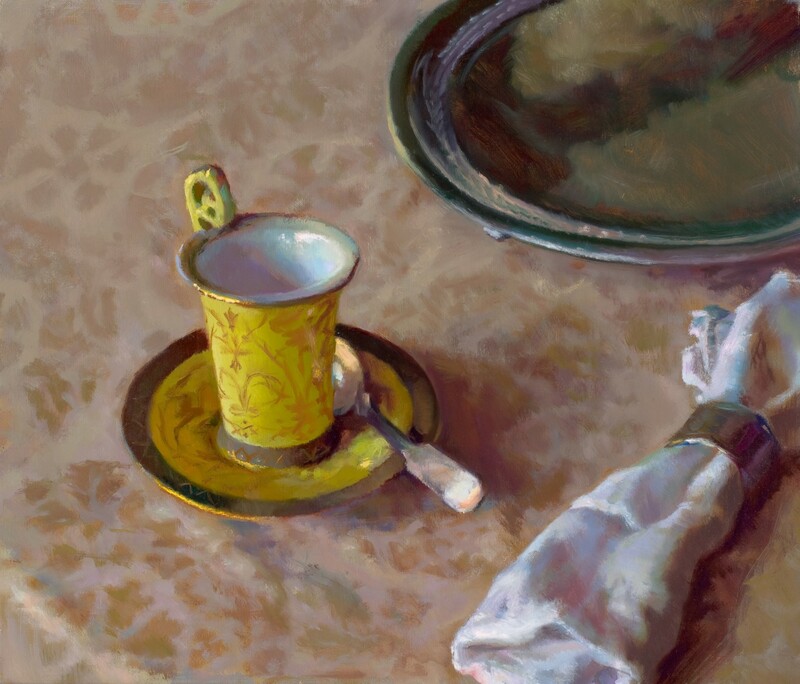 “Breakfast News” was juried into the prestigious Salmagundi Club’s annual Non-Member show and was awarded The Art Times Award. Lea was the featured artist in the November 2009 issue of American Artist Magazine.